Mide 16 x 21'5 cms. 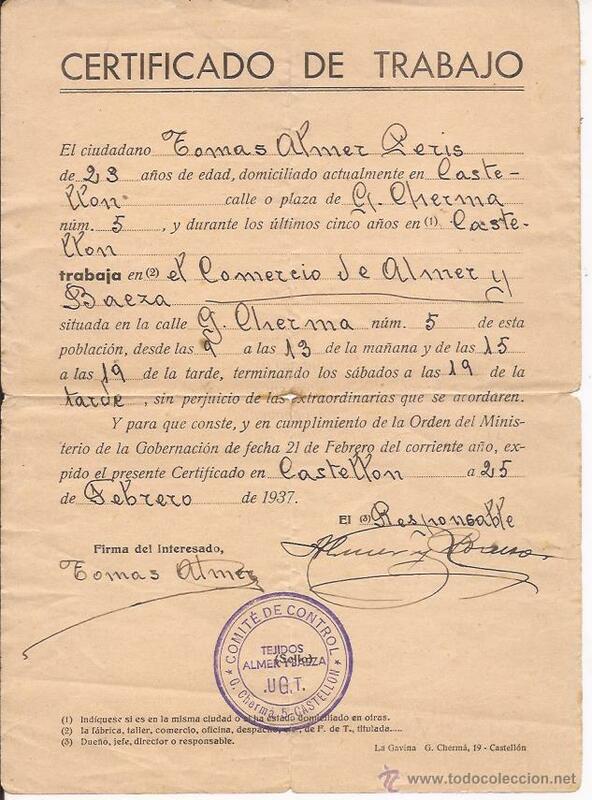 CERTIFICADO DE TRABAJO DE LA UGT, CINE DORÉ, 1937. CON VARIOS ESTAMPADOS REPUBLICANOS. Hora oficial TC: 00:34:35 TR: 133 ms.